Stephen’s Nylon gag cheeks are a smooth running and dark coloured. Hence, they’ll to blend in with the rest of your tack. 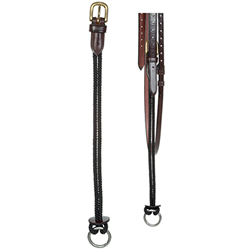 Furthermore, they have a unique fitting system so that the bit and reins are easily removed.